Blindness in Invisible Man was published in 1952 and since that time, the work has been the subject of many literary critics, and the Blindness in Invisible Man of much literary debate. This is a topic suggestion on Blindness in Invisible Man from Paper Masters. Use this topic or order a custom research paper, written exactly how you need it to be. 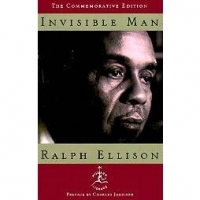 Ralph Ellison’s Invisible Man was published in 1952. Since that time, the work has been the subject of many literary critics, and the Blindness in Invisible Man of much literary debate. According to Ellison, the book is about “the human universals hidden within the plight of one…both black and American”. Ellison’s Invisible Man is rich with themes, hidden meanings and racial undertones. One of the most noticeable themes in Invisible Man is that of blindness. This blindness is seen in a variety of ways, but stands out in Chapter Twenty-two when it is revealed that Jack has a glass eye. When Jack first appears in the novel he is depicted as the leader of the Brotherhood. This in itself is strangely odd given that the mission of the Brotherhood is to promote black issues, a place where Jack with his red hair seems oddly out of place. When the reader first encounters Jack in the story, he appears to be kind, intelligent and compassionate. He is a source of great help to the narrator when the two first meet. He gives the narrator money, a job, and a method for helping him fight against prejudice. Their prejudice has forced the narrator to live a life of invisibility. In other parts of the book, the blindness is directed toward entire communities. For instance, the boys forced to fight in the “battle royal” are blinded by the blindfolds that cover their eyes, yet the community is blinded by their own attitudes of prejudice, which allows them to exploit the boys for entertainment purposes only. The theme of blindness is also evident in Ellison’s portrayal of the Founder’s statue, which has “empty eyes”. These empty eyes signify that even the founder of the black college is blind to the racial attitudes in society. Reverend Homer A. Barbee suffers from such blindness in his refusal to see things for the way they really are and for his blind devotion to the founder. In Chapter Sixteen, the narrator himself suffers from blindness when he addresses the crowd under the blinding lights. As in the case of Jack, each instance of blindness in the novel can be directly tied to a lack of character insight. Upon further reading however, the reader soon learns that Jack is not all he pretends to be. The narrator soon learns that he is just as invisible to Jack as he is to everyone else. To Jack, the narrator is not a real, live breathing individual, but a vehicle to advance the goals of the Brotherhood. As the story progresses the narrator becomes aware that Jack is just as blind and prejudiced as everyone else. This knowledge is confirmed when Jack abandons the Brotherhood and the goals of the black community without looking back. The theme of blindness is central to the entire work. It is this blindness that prevents the characters from seeing the narrator, and the true plight of the black community. By incorporating blindness as a central theme, Ellison is able to create the visible image of the many ways in which such blindness persists in the lives of real living and breathing human beings. The Invisible Man Analysis - Research papers discuss the 1952 novel about the nature of a black man's role in society. We Wear the Mask - The mask prevents the white man seeing the black man. Ralph Ellison would later characterize this as being “invisible,” in his novel Invisible Man. Social Class in American Literature - Order a research paper on social class from Paper Masters. Paper Masters writes custom research papers on Blindness in Invisible Man and explain Ellison's use of the theme of blindness in the racially charged novel.